The official San Diego Comic-Con schedule has been released and we are thrilled that the audiobook team will be back at SDCC again this year! 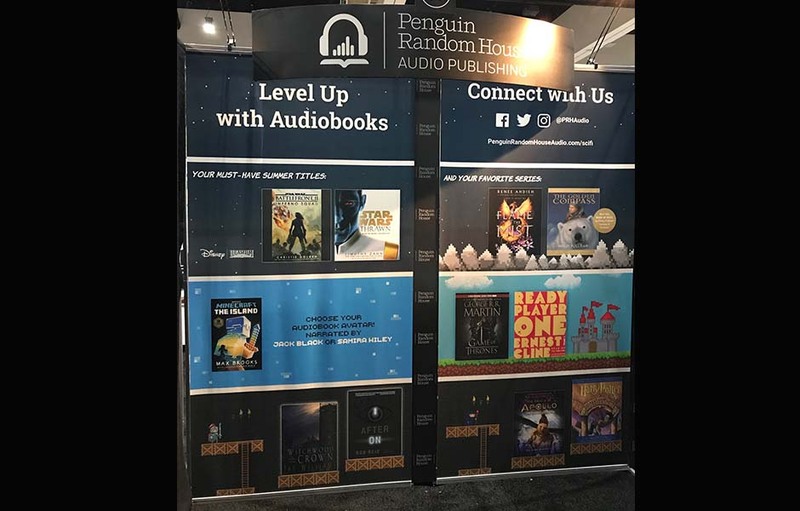 From Wednesday, July 18 through Sunday, July 22, stop by Booth 1515-B to hear what’s new in audio and test your Harry Potter, Ready Player One, Game of Thrones and Star Wars trivia knowledge for great gifts including earbuds and portable fans perfect for this summer heat. Sunday, July 22, we will be giving away exclusive quote cards from the narrators of Good Night Stories for Rebel Girls. SDCC goers will have a chance to listen to Thrawn: Alliances early (on sale date: July 24, 2018) early! 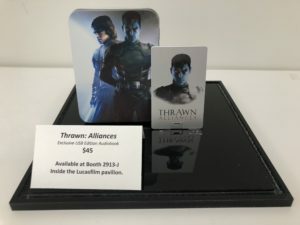 Our Thrawn: Alliances Con Exclusive Audiobook Edition will be available in the Star Wars™ pavilion, #2913 for $45.00 (limited run of 250) and includes a digital audiobook on a custom USB with an exclusive author-narrator interview, packaged in a collectible tin signed by Timothy Zahn and Marc Thompson! Join us on Friday at 5:00 pm for our signature Audiobook game show: I’ll Take Dementors for $500, Obi-Wan: A Fan Game Show (Heroes and Villains edition) at the Grand 9, Marriott Marquis San Diego Marina. Featuring Star Wars™ audiobook narrator Marc Thompson as the host and bestselling authors Christie Golden, Pierce Brown, and Naomi Novik as the competitors (along with some lucky audience members! ), this hour-long game show will be fun for all.